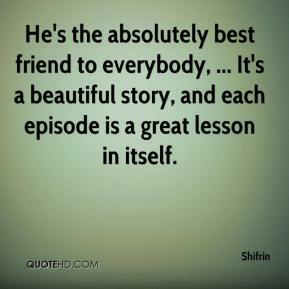 He's the absolutely best friend to everybody, ... It's a beautiful story, and each episode is a great lesson in itself. He was the love of my life. My soul hurts ... 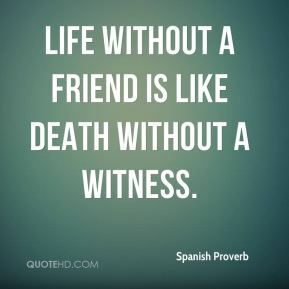 He was my best friend. 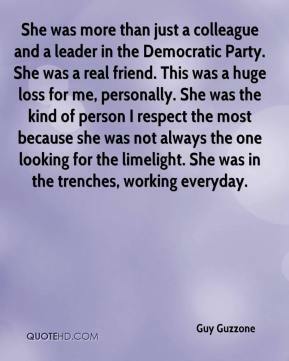 She was more than just a colleague and a leader in the Democratic Party. 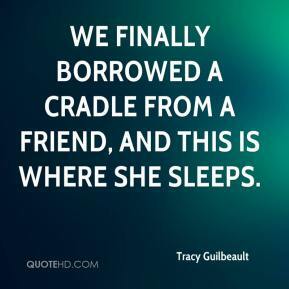 She was a real friend. This was a huge loss for me, personally. She was the kind of person I respect the most because she was not always the one looking for the limelight. She was in the trenches, working everyday. 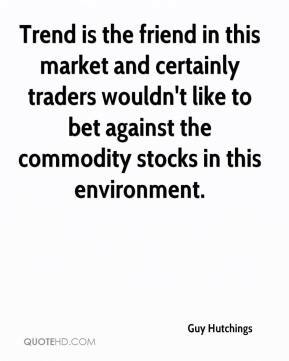 Trend is the friend in this market and certainly traders wouldn't like to bet against the commodity stocks in this environment. 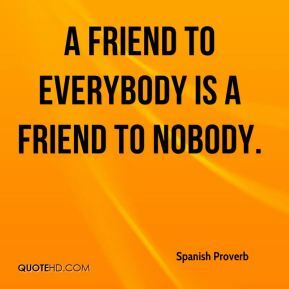 Right now it's my best friend. I'm just glad I'm not sleeping with it. 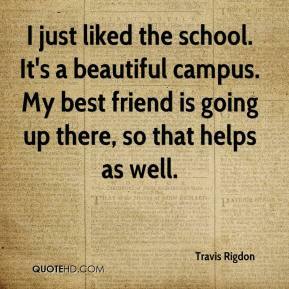 I just liked the school. It's a beautiful campus. My best friend is going up there, so that helps as well. 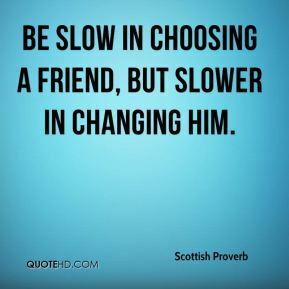 He's a good friend of mine. I support him all the way. He'll be back. 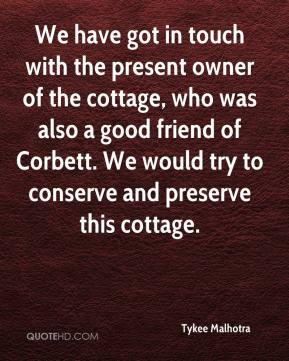 We have got in touch with the present owner of the cottage, who was also a good friend of Corbett. We would try to conserve and preserve this cottage. We finally borrowed a cradle from a friend, and this is where she sleeps. We've talked about it. 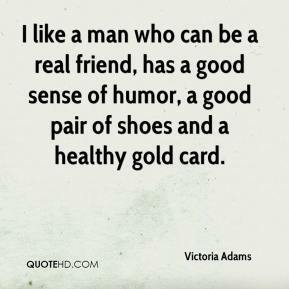 He's been very good to me. He's my best friend. 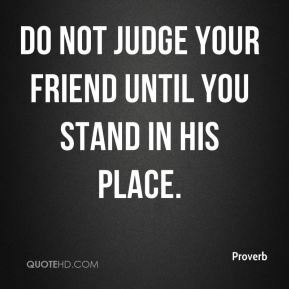 He's a good friend. 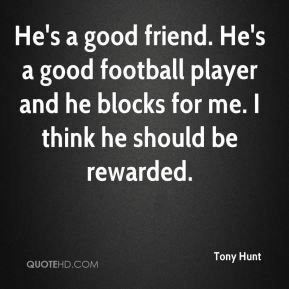 He's a good football player and he blocks for me. I think he should be rewarded. Initially, I thought it would be quite relaxing because I play Jackie's friend. But I soon found out that it was tiring and dangerous even when I was just running beside him. I wouldn't jeopardize Shauna, my closest friend. 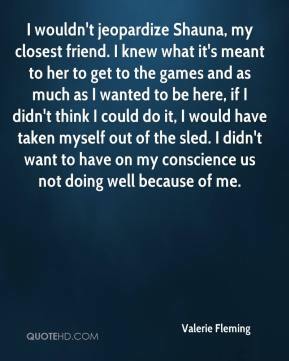 I knew what it's meant to her to get to the games and as much as I wanted to be here, if I didn't think I could do it, I would have taken myself out of the sled. 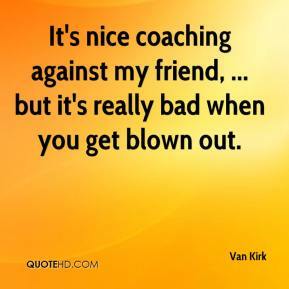 I didn't want to have on my conscience us not doing well because of me. 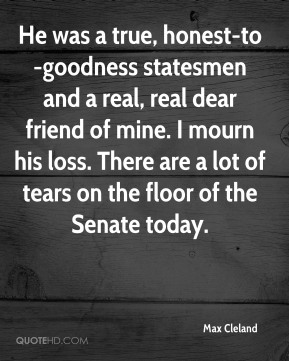 Wendy was a good friend. 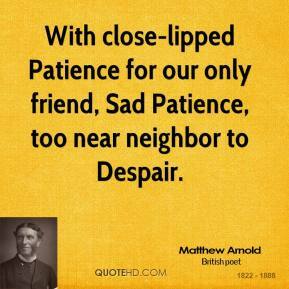 She was as well a writer of enormous talent and generous spirit. Her works brought joy to many. 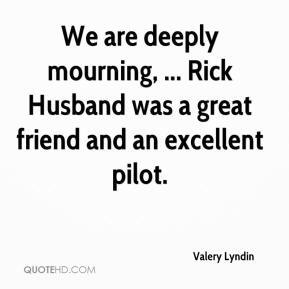 We are deeply mourning, ... Rick Husband was a great friend and an excellent pilot. We are deeply mourning. Rick Husband was a great friend and an excellent pilot. Two lines only, o my dear friend, to give you word about my health, which is at the breaking point from the great fatigue that I am experiencing because of having to compose the opera in a short time, and whose fault is that? 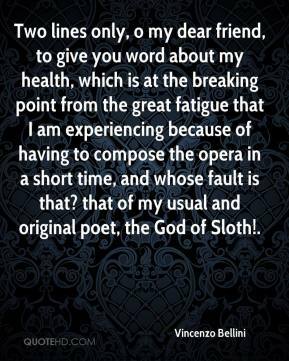 that of my usual and original poet, the God of Sloth!.